The automaker has opened it for customer’s convenience. Good news for buyers interested in heritage models! 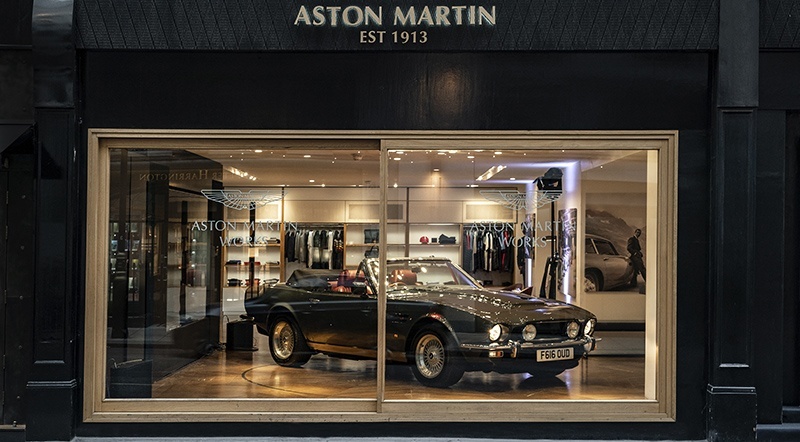 Aston Martin Works Heritage showroom has started its operations in London’s Mayfair recently. Those who already have visited the Aston Martin Brand Experience Center at No.8 Dover Street would find the Works Heritage showroom just there. The automaker has opened it for customer’s convenience who could learn about renewal services offered by the Aston Martin Works Service. The decision to open this showroom came after finding out the customer’s interest in heritage cars. The success of DB4 G.T and the recently announced Goldfinger DB5 continuation vehicles both show that customers are taking a keen interest in heritage models. Aston Martin will create these models in Newport Pagnell, the same assembly line where the original units were developed. Aston Martin Works is currently operating from Newport Pagnell factory and focuses on offering their services to all the international customers. Both the Aston Martin Works Heritage showroom and the Aston Martin dealership now will be operating from Mayfair serving customers both heritage and latest luxury cars. The Central London location makes it convenient for customers to buy their favorite iconic models.